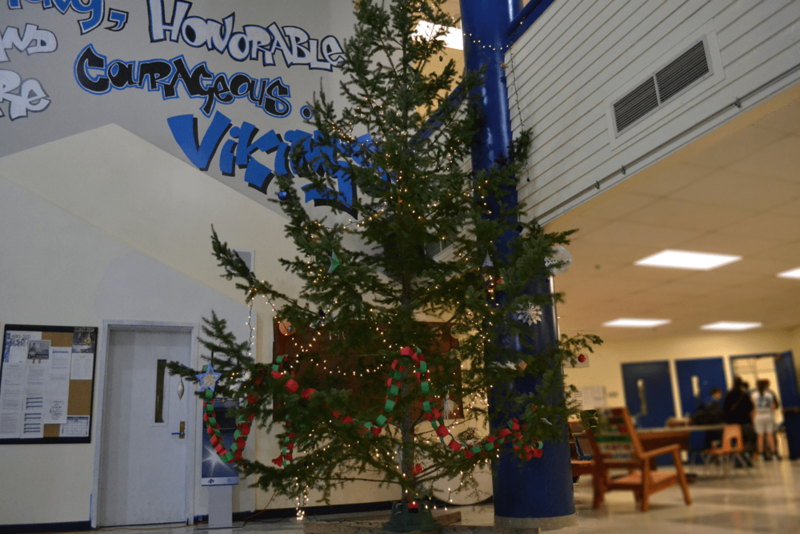 The Viking Voice | The Age Old Question: Should Christmas be Celebrated in Public Schools? The Age Old Question: Should Christmas be Celebrated in Public Schools? The moment Thanksgiving dinner is over, Christmas seems to hit America like a snowball. Stores place holiday wrapping paper and Christmas decor on shelves, not to mention the epitome of capitalism: Black Friday, the first day of shopping sales to kick off the holiday season. With all this Christmas bustle and cheer around us, it seems prudent to ask if Christmas should be celebrated in public schools. While the holiday season is a time of excitement, food, and family for many, a Christmas celebration does not have a place in our public school system. America was founded on the idea that church and state are separate, and this is a powerful concept. While this concept has not always been strictly followed throughout the decades, the purpose of this separation of government and state was placed into our constitution as a means of allowing religious freedom. A government agency—like a school—celebrating Christmas treads on the spirit of the First Amendment. Some may argue that it is essentially harmless to host Christmas celebrations in public schools because of the commercialization of Christmas in the beginning of the 20th century, and the fact that many atheist or agnostic families celebrate Christmas. However, just because millions of Americans celebrate Christmas does not mean that they all do, not to mention the fact that other commercially adapted holidays like Easter are not celebrated in schools. All of these holidays are in some way religious, whether formed in the name (such as Christ-mas or Holy-day) or not. So should Christmas be celebrated in public school? No. But the subject of Christianity, the history of Christmas, and other winter holidays, such as Hanukkah, should be taught in school. Some public schools have tried to combat this Christmas phobia by simply removing all Christian aspects from their celebration by banning all words and symbols that relate to Christianity. However, banning the “Christian things” from public school Christmas celebrations does not make these celebrations okay. Yes, many people feel fine with this, but there will be many people—Christians, Muslims, Jews, atheists, and so on—who are displeased with the result. Christmas is not a purely commercial holiday, it has religious ties. For those who practice a different religion, school-sanctioned Christmas serves a reminder that they may be different from their peers, and in some cases, an ostracized minority. Prohibiting Christmas celebrations in public schools is not about disrespecting Christians or the Christmas spirit, it is about respecting every person’s right to practice their own religion separate from government control and as equals.